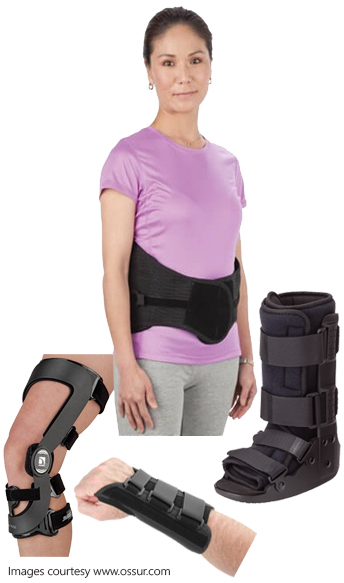 Whether from injury, surgery, musculoskeletal, or neurological disorder, the proper supportive device can make the difference in achieving optimum healing and mobility. Our clinicians begin with a thorough evaluation to determine the most appropriate device to meet the patient’s needs. Our knowledgeable staff will work together with the patient (and his physician and/or physical therapist) to provide either a custom-made or custom-fit device to support their treatment plan.